…With these words, Chuck Searcy ended his presentation at Cine Theater in Athens a little over a week ago. 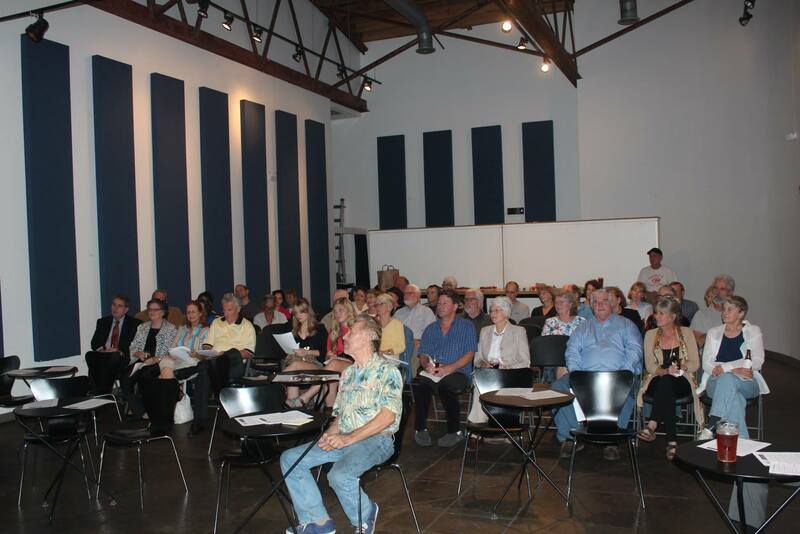 The modest audience enthusiastically applauded and converged upon him and his Vietnamese partners, Ngo Xuan Hien and Luong Tuan Hung. I worked with Chuck at The Athens Observer almost 40 years ago. He has the same unwavering commitment to public service as he did before we had grey hair. 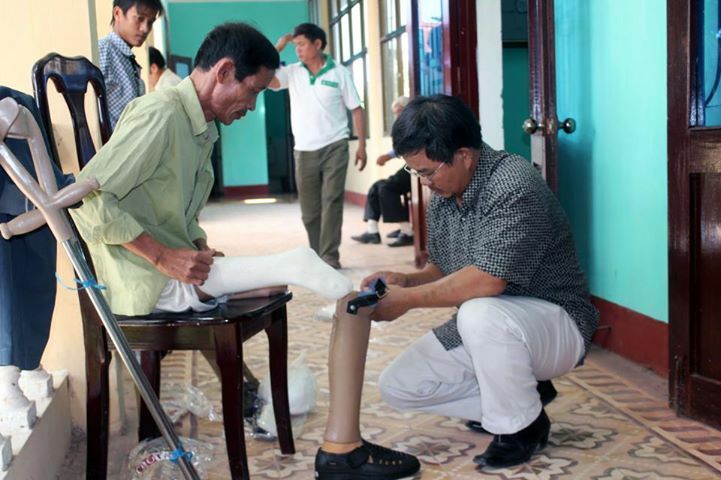 The three men work for Project RENEW, a Vietnam-based organization that has one goal: neutralizing the effects of the war by reducing the number of deaths and injuries caused by “explosive remnants of war” (ERW) in Quang Tri Province in central Vietnam. The war ended in 1975, but the residual dangers did not go away when the truce was signed. 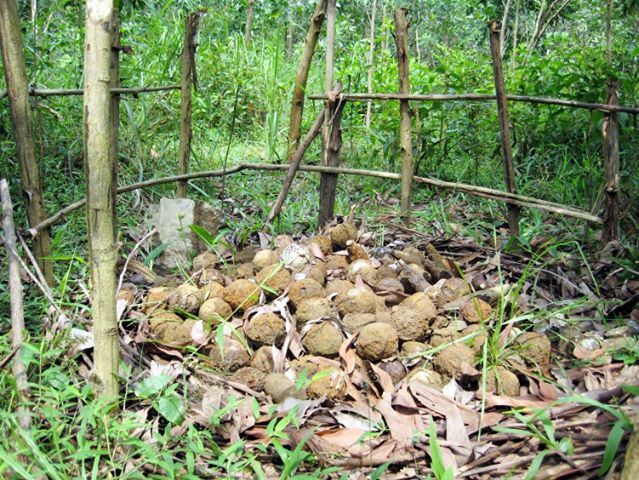 The cluster bombs and other ERW litter the countryside, farms, and fields. The young are especially vulnerable. Since 1975, 31 percent of the 7,100 casualties in the Quang Tri Province were children. The province has 34,000 people with disabilities caused from explosives and 15,485 victims of Agent Orange, including 5,000 children born with birth effects. 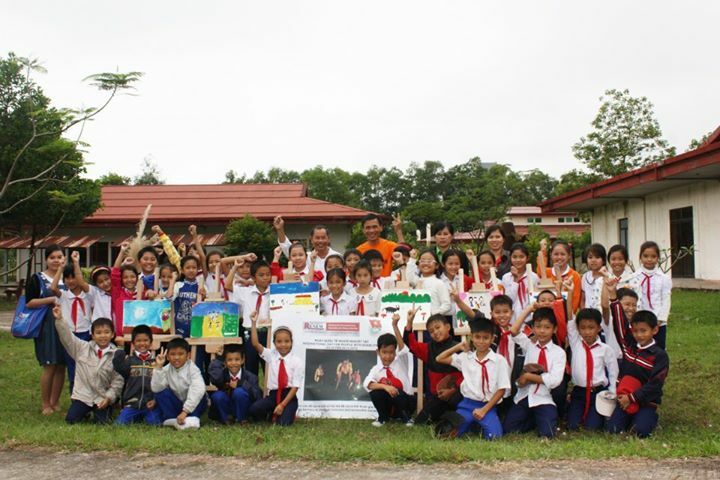 Nationwide, more than 100,000 Vietnamese children and adults have been killed or injured by ERW since the war’s end. An estimated three million people are affected by Agent Orange. The number of ERW incidents in Quang Tri from 1996-2001 were about 45 annually. After Project RENEW was founded in 2001, that number has been reduced to nine total from 2002 to 2012. The success is due to a four-prong approach: (1) ERW surveys and clearance, (2) victim assistance, (3) mine risk education, and (4) community development. There are people who were injured during and since the war who have spent their entire lives without arms or legs. Now they have finally received the artificial limbs they need. 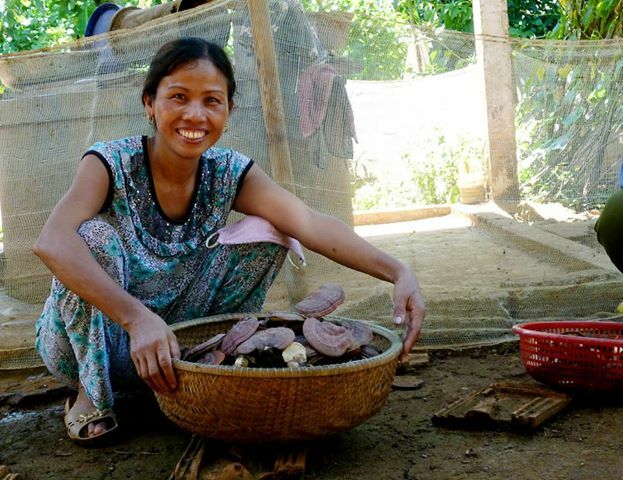 Families can finally sustain themselves because Project RENEW has given them the tools and knowledge to make a living like growing mushrooms or raising cows and chickens to feed themselves and others. 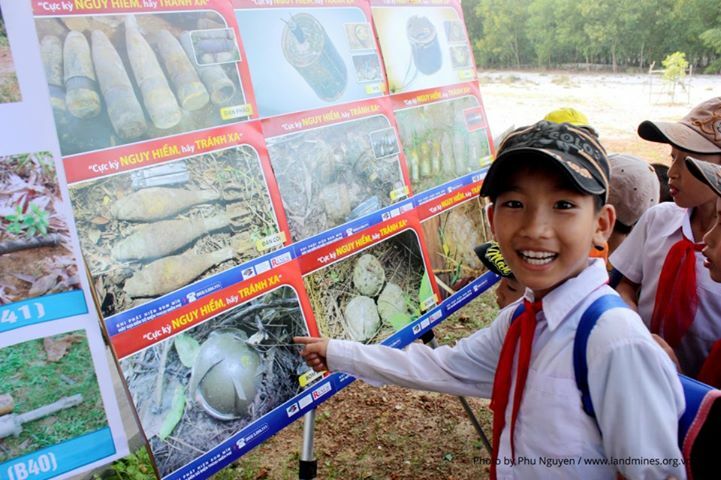 Children now know what the dangerous munitions look like. They identify them and get the help needed to clear them. It is truly a template for helping people help themselves; and, more importantly, it is managed by the Vietnamese people. The efforts are funded by private citizens from the U.S. and other countries, the U.S. government, the Vietnam government, and the governments of Norway, Japan, Taiwan, and other countries. Corporate donors and international institutions also lend financial support. To meet the demands and fulfill the goal of making Vietnam safe in 10 years, however, more money is needed. If you interested in learning more, go to this site or the Facebook page https://www.facebook.com/projectrenew . If you want to make a donation, go to this site . The names and faces of the Vietnamese people are not in the headlines now. It’s not the buzz on Facebook or Twitter. But if we could come together and rally around a common cause right now, it would be the best medicine we as a nation could take. This is not about if the war was good or bad, right or wrong. This is about making good where bad was left. America needs a success story. Project RENEW could be that success story. This entry was posted in Uncategorized and tagged American success, Flagpole Magazine, Project RENEW, Vietnam. Bookmark the permalink. This is a heart warming story. It is amazing that all these years later we are still trying to correct the remains of war. Thank you El…I look froward to trying to help them…’twill be a wonderful adventure. Chuck forwarded your heart filled reminder of how much one man can do if he is committed to his goal. Chuck and I grew up in Thomson. We were in the band, barbershop quartet and have always kept in touch. Our time together in Athens was during the takeover of the Academic Building for women ‘s rights (to protest the university rules that women must wear raincoats over gym gear, no less, and to have the curfew same as men). Came back and re-connected in the Observer Pete and April days. Thanks for your comment Jim…Chuck is truly remarkable, and this project is a stellar one for sure. I look forward to helping him get his network bigger and more prolific here in the U.S — I do believe when people know about this, they will want to help. If Project Renew has enough supporters in the Athens, GA at the U. for a benefit concert on their behalf > http://www.yankeemedicrecords.com for free MP3 downloads and performance videos. Graci for your support and comment…I will definitely be in touch. I am finishing grad school this semester and will be gearing up fundraisers after the first of the year. I will check out your website and be in touch. P.S. I just checked out your website Lem…hopefully, we can collaborate. thanks for the work you do.